Bernie Sanders is using his bully pulpit to take on capitalists that pay poverty wages. His latest target: the Walton family. Fresh off a successful campaign to name and shame Amazon for its low wages, Bernie Sanders is setting his sights on Walmart. 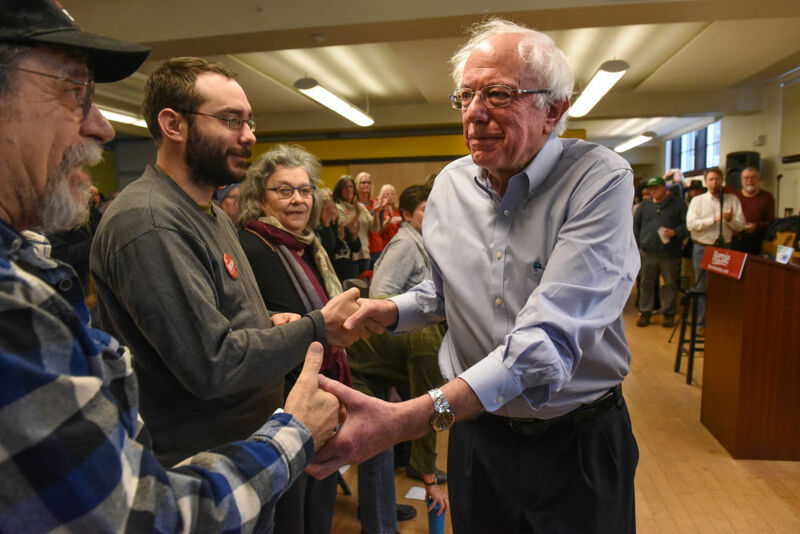 Yesterday, the Vermont senator introduced the “STOP Walmart Act,” a bill that demands the retail behemoth raise its wages or face penalties. Cosponsored by California representative Ro Khanna, the bill would prevent Walmart and other large companies from buying back stock unless they pay all employees at least $15 an hour, allow them to earn up to seven days paid sick leave, and cap CEO pay at 150 times median worker compensation. The largest private employer in America, Walmart has been targeted by labor activists for years over its low wages, anti-union policies, and history of alleged workplace discrimination. Excessive giveaways in the form of stock buybacks are a way for executives and wealthy shareholders to extract corporate profits for themselves rather than investing them in higher worker wages and benefits, according to progressive economists. “Investors and executives may be celebrating positive results and increased expectations, but meanwhile hundreds of thousands of Walmart’s frontline employees and our families face the daily struggle of making ends meet on poverty wages,” said Shashauna Phillips, a Walmart worker and leader in the worker advocacy group OUR Walmart, in a statement. Our company has a choice to make: it can fall further behind by spending billions on share buybacks or it can do what’s right for both the company and its employees by paying all workers a living wage. The efforts being led by Senator Sanders and Representative Khanna show what’s possible when elected leaders stand with working people to demand more from our country’s largest private employer. The STOP Walmart Act comes just two months after Sanders and Khanna introduced a similar bill targeting Amazon, dubbed the “Stop Bad Employers by Zeroing Out Subsidies” — or, pointedly, Stop BEZOS. The Amazon bill, which would impose a tax on large companies whose employees have to rely social assistance, didn’t stand much of a chance in Congress. It was also criticized as unworkable by a host of policy wonks. Earlier this year, Walmart announced that it was raising its starting wage to $11 an hour, thanks to savings from Trump’s tax cuts. But there was a catch: on the same day, the company also announced plans to lay off thousands of workers. And $11 an hour still amounts to an annual salary below the poverty line for a family of three. On Wednesday, Ken Jacobs, chair of the University of California Berkeley’s Labor Center, told the Washington Post that Walmart would need to spend about $3.8 billion to raise its minimum wage to $15. That might sound like a lot, but the Walton family is worth about $180 billion, and the company takes in an annual revenue of $500 billion. None of these measures are likely to pass in a GOP-controlled Senate, of course, but that’s not the main point. Sanders and Khanna are using their public profiles to take billionaires to task. And that’s a good thing for working people everywhere. Michael Arria is a journalist living in New York City. He's the author of Medium Blue: The Politics of MSNBC.